There are many reasons to keep your Android phone or tablet around in the kitchen. Maybe you want to watch Netflix while waiting for eggs to boil. Maybe you’re chatting with friends or having music play in the background. But that device can also help you cook, and it may be more helpful than those smart appliances manufacturers are trying to sell us these days Smart Kitchen Appliances You'll Wonder How You Lived Without Smart Kitchen Appliances You'll Wonder How You Lived Without No other part of the home is so perfectly set up for taking advantage of the advent of smart gadgets than the kitchen, where benefits can be brought to tech lovers and lazy people alike. Read More . 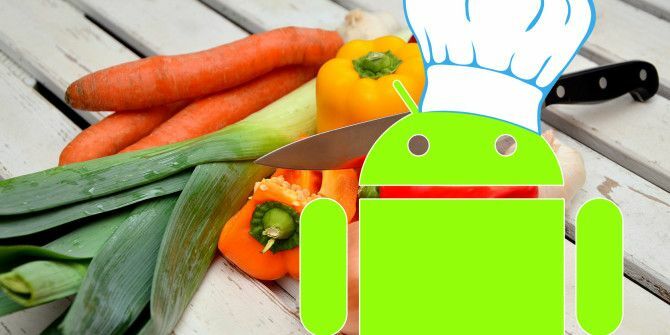 Whether you’re learning for the first time or an experienced chef looking to up your game, here are five ways you can use your Android device as a virtual kitchen aid. Before you can cook, you need to first know what’s available. For centuries, this process has consisted of opening up cabinets and taking a look around. These days, you have to also take the fridge and freezer into account. It’s unsurprising that certain items fade into the background, eventually reaching their expiration dates and turning into colors you didn’t know they could. There are a handful of apps in the Play Store that can keep track of what’s in your cabinet. This way you can just look at a list to see what you have to work with. You don’t even have to make a trip to the kitchen to start planning what to make. Apps like Grocery King and Food Planner can keep track of what you have in stock while also providing you with a place to mark what to buy next and from where. When the time comes to replenish your supplies, there are any number of digital shopping lists you can take with you to the grocery store Going Grocery Shopping? Top 5 Android Shopping List Apps Going Grocery Shopping? Top 5 Android Shopping List Apps Check out these awesome grocery shopping list apps to help you stay organized! Read More . Part of being a good cook is knowing how to wait. Some dishes need a lot of time in the oven before they’re ready. Others need to spend a few minutes frying on each side between flips. If you aren’t patient, you risk under-cooking. On the other hand, too much twirling your thumbs will get things burned. You can turn to your default alarm clock app to get the job done. Generally, you have the option to set a specific time for the alarm to go off, tell your phone to ring in a certain number of minutes, or just fire up a virtual stopwatch and keep an eye out yourself. Or you could install a dedicated app for more power. Consider Kitchen Timer. It comes with presets for many of the times you’re likely to need, and it offers space to save your own custom ones. You can add more time as needed with a few button taps, and overall, it reduces the amount of time you spend looking away from the pan and at your device. And yes, there are plenty more timers where that came from The 7 Best Timer Apps for Android The 7 Best Timer Apps for Android Bored of the basic timer app on your Android phone? Here are the best timer apps for Android that offer many more features. Read More . Before you open up the cookbook, take a look at the measuring cups and spoons you have lying around. Are you going to be able to make accurate portions? Not sure? Ask yourself how many milliliters go into a cup. How many fluid ounces fit into a teaspoon? Yeah, it might be worth installing a unit convertor to make your life easier. Unit Converter and Simple Unit Converter are two of the many options out there that can get the job done. If you can put up with ads, neither will cost you a cent. Whether it’s a set of instructions that has traveled through your family for generations or something you just happened to come across online, a recipe isn’t any good if you can’t recall it. Your memory alone isn’t the safest route, and storing things on paper can get messy after a while. That’s where apps come in. Those looking for a social experience may not need to look any further than Allthecooks, a way to see what other people are cooking and share your own creations. And since this is an online network, everyone gets to like other peoples’ food and receive feedback. Alternatively, there’s Yummly, a recipe manager that suggests recommendations based on your preferences. If you don’t want to deal with following a community or creating an account, My CookBook is a recipe manager that provides you with a space to store your collection of meals. 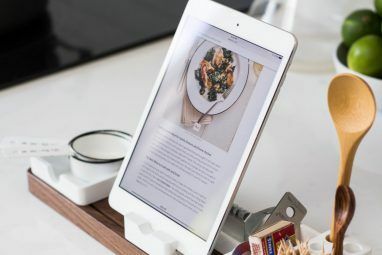 There’s still an online component that lets you backup your recipes to the web, but the optional feature requires a monthly or yearly subscription. Recipe Keeper is a similar app that’s worth a look. Or you can continue to turn to the Food Network, as the channel has made an Android app available for download. Recipes can be intimidating. There are plenty of times where I wish someone was around to show me what a confusing set of instructions actually means. In the absence of such help, the closest substitution is a how-to video. You don’t have to download a special app to find such content. There’s more than enough available on YouTube 10 Mega-Popular YouTube Cooking Channels By Cuisine 10 Mega-Popular YouTube Cooking Channels By Cuisine I didn’t realize I was following so many cooking channels until I saw Joshua’s list of great YouTube cooking channels to follow. I knew at least 5 of the 6 channels in his list so... Read More . But just in case you want a more focused experience, there’s Kitchen Stories, a recipe manager that also provides demonstrations. If you just want something that will search YouTube for you, there’s the old but still functional Cooking Video Tutorials app. How do you feel about your kitchen? Do you step in with a smile, ready to create something that will delight your taste buds? Do you regard it merely as the place where you store and heat up your frozen pizza? Maybe you find the idea of cooking absolutely frightening. It’s okay — there’s nothing to be afraid of Intimidated by Cooking? 6 Simple Tips to Conquer Your Kitchen Fears Intimidated by Cooking? 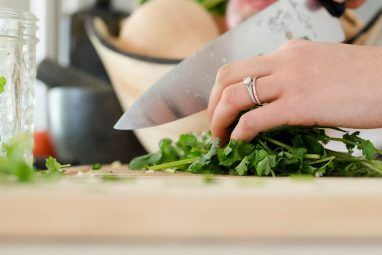 6 Simple Tips to Conquer Your Kitchen Fears Eating out is awesome, but it doesn’t compare to the experience of cooking a meal from scratch. But it’s far too common for people to hold a phobia of the kitchen. Read More . Hopefully some of these apps provide you with the motivation you need to keep preparing your own meals. Cooking is healthier than eating out, and it’s a great way to bring friends and family together. What Android apps do you take with you into the kitchen? Have any of them led to changes in your cuisine? Do you find cooking software so useful that you’ve installed a dedicated computer not far from your fridge 3 Ways to Install a Computer in Your Kitchen 3 Ways to Install a Computer in Your Kitchen Installing a computer in the kitchen is a brilliant idea. 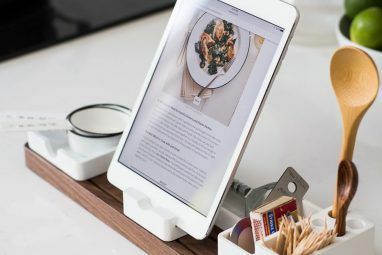 Not only does it deliver cooking tips and recipes right where you need them, you can also maintain your digital and cloud-synced shopping list or... Read More ? Sound off in the comments below!